Archival Sound Recordings was one of the first projects to be funded under the JISC Digitisation Programme. The British Library released its initial batch of recordings online in 2007, and has continued to add new (and old !) 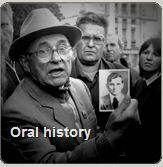 recordings to this fascinating resource. 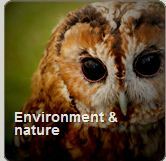 There are now some 50,000 recordings available, including oral histories, classical music, wildlife recordings and environmental soundscapes. Recent statistics demonstrate how engaging the site is. From April 2010 to March 2011, there were 2.4m hits on the website, with the recordings listened to over a quarter of a million times. One of the most popular collections is British Wildlife Recordings, sounds of UK birds, animals and fauna. These incredible recordings were listed to over 75,000 times. In fact 18 of the 20 most popular individual recordings were from this collection. Posted by Paola Marchionni on May 9, 2012 in Uncategorized and tagged Audio-Visual, digitisation, digitisation digitization "special collections", wildlife sounds.